the vintage umbrella: Let's knit fair isle! Hi everyone! 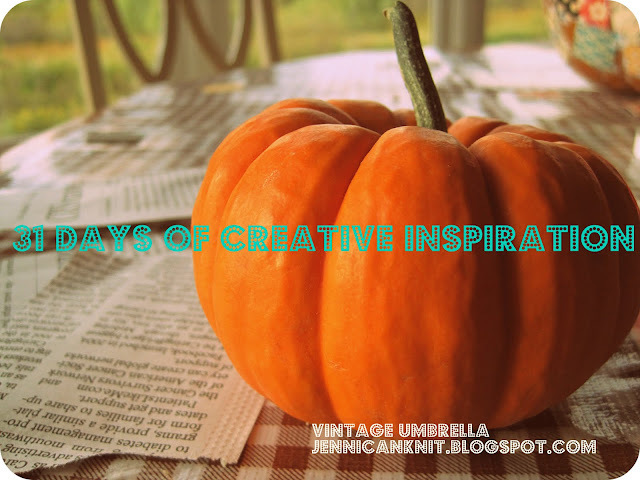 This month I am taking part in a blog hop at http://theinspiredroom.net/ She is challenging bloggers to post 31 days in a row. Each week will have a different theme... week one is yarn, week 2 is Halloween, week 3 is paper and week 4 is Christmas. I hope you will join me! Most of you know how much I love to knit... pretty much my favorite activity. I learned 3 years ago after sitting way too many hours at the hockey rink. It is such a great, portable activity... especially when you sit at lots of kid's activities. My knitting teacher Andrea taught me everything I know... including knitting fair isle. I love color, which makes fair isle knitting especially fun... Before I start I usually make a chart on graph paper giving me an idea for the pattern. These were a summer project too... I can't wait to wear them this winter! I'm knitting these this week for someone who happens to have 8 grandchildren. I found the fair isle pattern here...http://www.ravelry.com/designers/sandra-jager She has so many fun charts to choose from! Boy oh boy, what an ambitious challenge you've gotten involved in. Good luck with it. I love the mittens - so colorful!